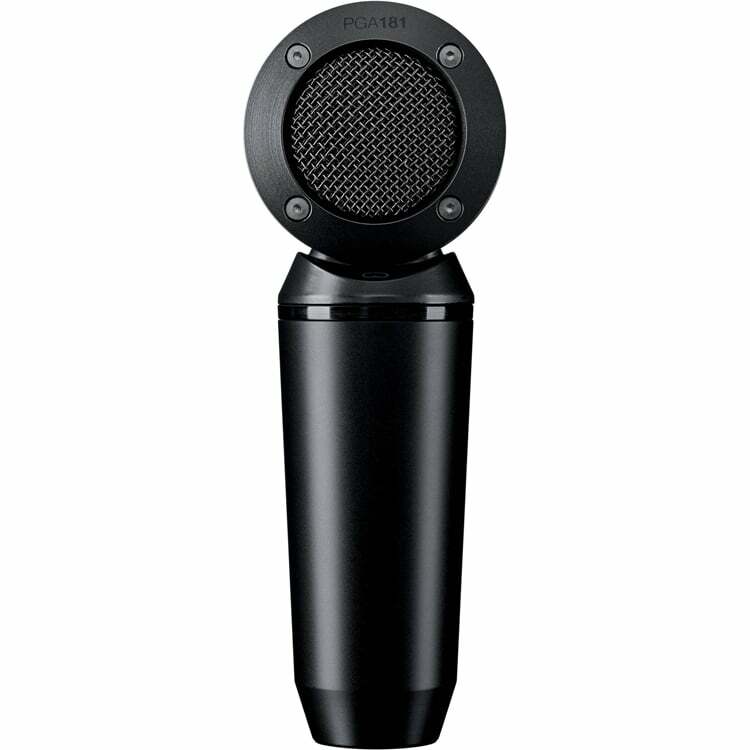 The Rode M2 is a professional vocal condenser microphone designed for live performance applications. 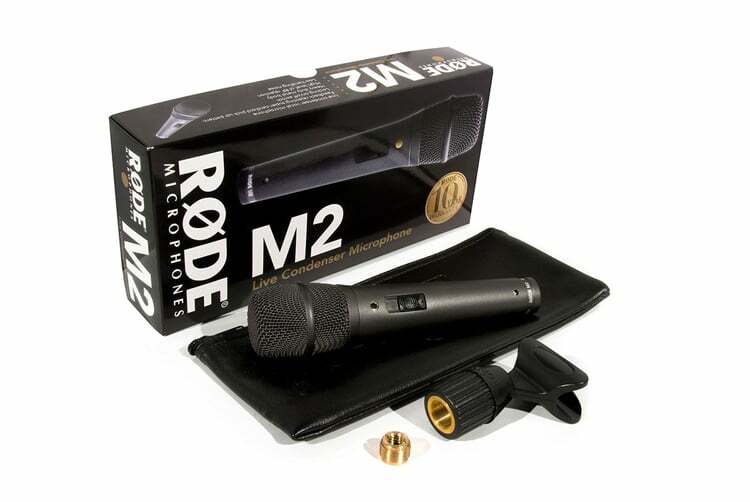 The M2 is another killer mic from Røde’s range of mics. Featuring a full range frequency response, and a rugged design the rode m2 is perfect for a wide range of vocal and instrument applications. 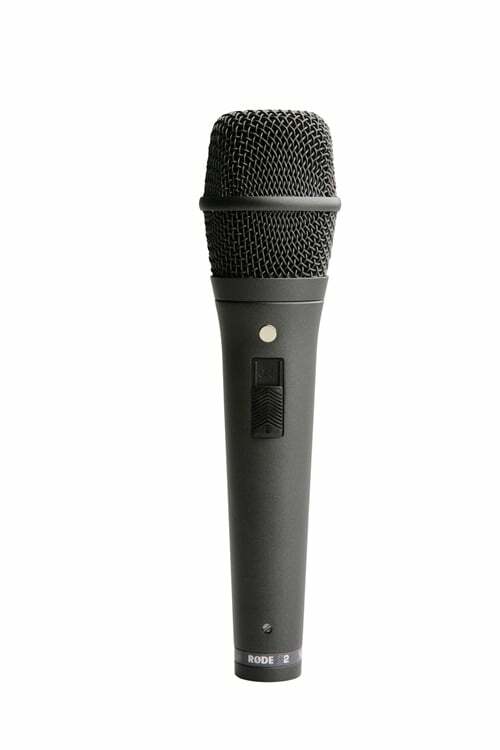 The M2 ‘s super-cardioid polar pattern has been specifically tailored-for-stage and coupled with an internal shock mounted 1/2″ condenser capsule, resulting in a high-quality alternative to dynamic microphones, best suited for live performance. With high sound quality & the stage in mind, the rode m2 is rugged and versatile. When it comes to dynamic range and capacity to deliver a robust monitor level before feedback, the M2 is an outstanding microphone. 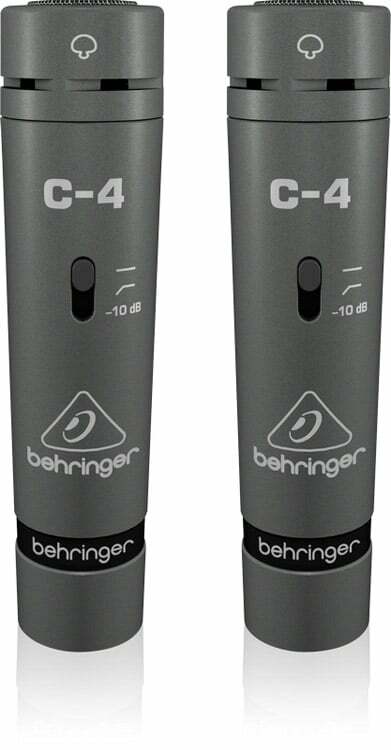 With the quality of reproduction in the mains being comparable to that of a mic four times the price. The M2’s supercardioid pickup pattern and internal shockmount design makes it very resistant to feedback, the M2 is capable of very high levels before you’ll get feedback and manages to have very little bleed for a dynamic microphone. 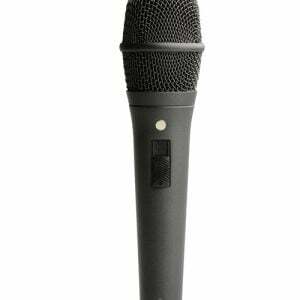 It’s like having the best of both worlds onstage: the durability and dependability of a dynamic mic built into a high-performance condenser model! The Rode engineers ensured versatility with the addition of an on/off switch, for artists that prefer greater control over their sound and added a lock to ensure that the mic cannot be accidentally switched. The resulting rode m2 mic puts crystal-clear, studio-caliber sound reproduction in your hands for a surprisingly affordable price in a robust build. And, the effective windscreen protects the capsule while making the M2 very resistant to plosives. As with all The RØDE range, the M2 live condenser microphone is designed and made in Australia, and covered by RØDE Microphones’ industry leading 10 year warranty. The M2 benefits from RODE’s extensive experience in crafting premium condenser microphones for studio, live and location use. 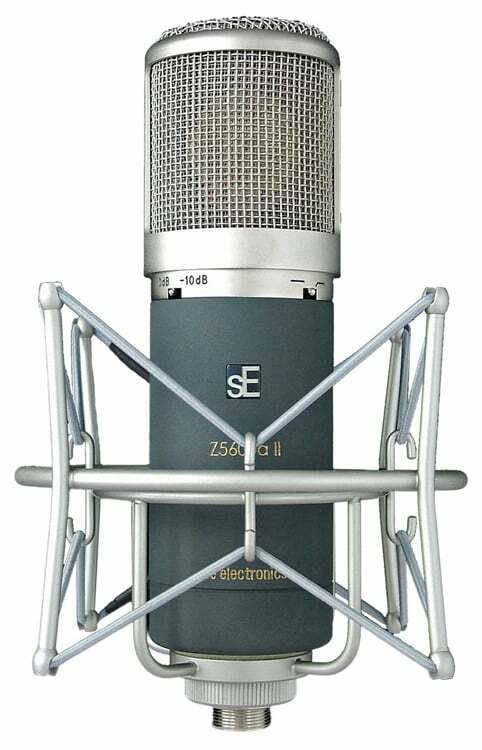 This new microphone builds upon the foundation set by the TEC award-winning RODE S1. Combining sound quality equal to that of the finest studio microphones, the M2 features a tailored response to reduce feedback, as well as an integrated shock mounting system to minimise handling noise. 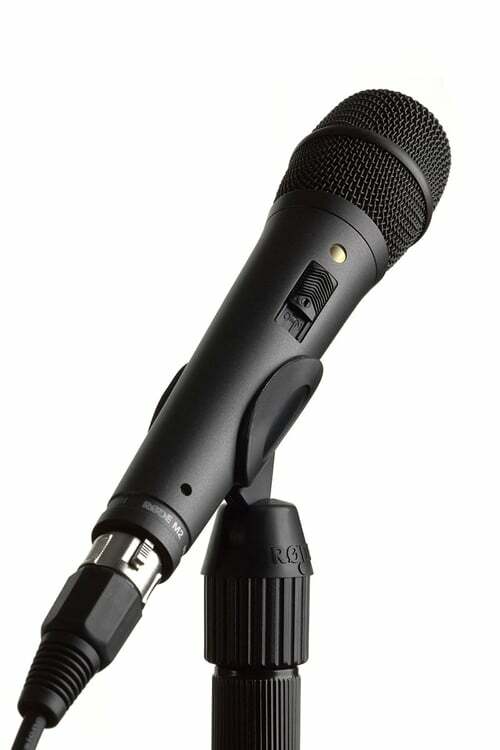 A locking on/off switch located on the microphone’s body provides the switching feature required by singers with self-operated sound systems, yet can be locked off when used in larger, dedicated operator environments.